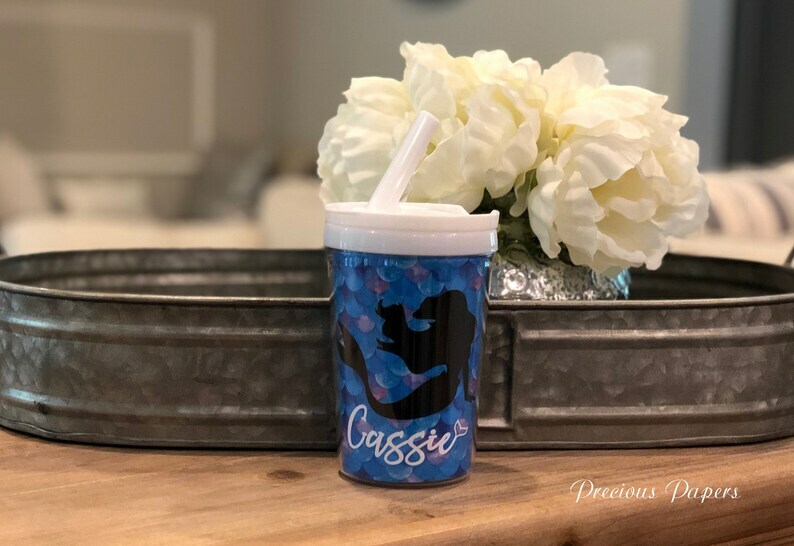 Mermaid toddler cup with lid and straw Never confuse your childs sippy cup for another again with these personalized cups. Great for home, school or traveling. Laminated insert can be easily changed. If you would like more than one insert with your mug please convo me.